I’ve ragged on Christians and Christianity alike, both in practice and doctrine, and I’ve never felt unjustified in doing so. Nevertheless, and for all its issues, it really can’t be denied that in the past 20 to 30 years the religion’s really gotten the short end of the stick. In the interest of equity to all, we’re going to spend some time hashing out some of the more popular portrayals of Christians and explaining why they’re unfair, inaccurate, or even just plain spiteful. Evan’s already covered the topic of how we’re drifting further and further away from a common cultural understanding- especially when it comes to religion. I don’t think that’s necessarily a bad thing in and of itself, but it is starting to have some negative effects. There was an episode of Weeds (gah- there’s hours of my life I’ll never get back) depicting the creation of this megachurch in the suburb that the show was (at first, anyways) largely centered on satirizing. And that’s fair; these things do exist, and usually in the wealthier, WASPier neighborhoods of this nation. And that was all fine and well until the episode where the zealous church-goers started speaking in tongues. Last Fame Day, I mentioned that I typically attempt to avoid discussing religion directly here on the blog. It’s a tough topic to deal with individually, and seeing as how I’m only one of three writers on a blog that’s tries to be at least semi-objective, walking the border between tact, directness, and personal views is no easy matter. Nevertheless, with the massive role that religion and religious institutions play in culture, I might as well start learning how to best address this all. 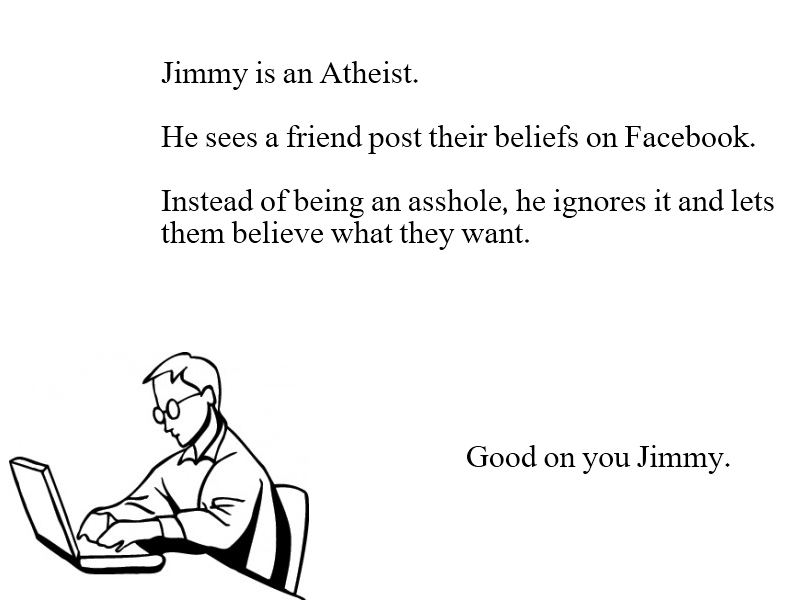 It seems that most people I meet just assume I’m an atheist. I’m not, but for whatever reason, I seem to give off this heathen vibe- in spite of having written and drawn a weekly religious cartoon for the duration of my time in college. But I’m not here to talk about that- at least, not entirely.When I was in college (a religious college, for the record), I saw a book added to the new arrivals display in the campus library: Generation Ex-Christian, by Drew Dyck. The book discussed the rising trend in people- young people in particular- leaving the church en masse, offering profiles on different groups, their reasons for leaving, and where they typically wound up. Postmodernists, “rebels,” “modern leavers”- even neo-pagans. 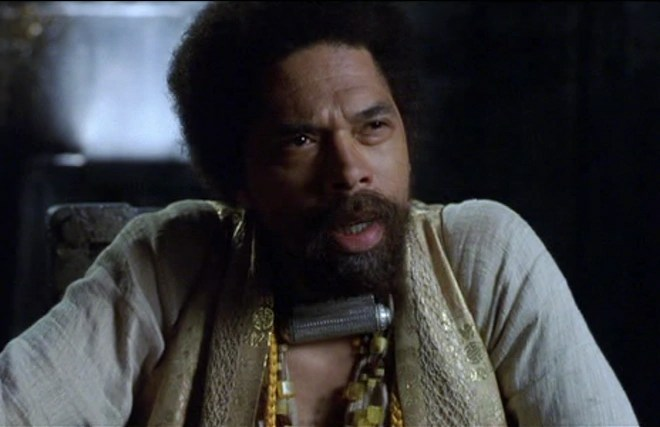 Where exactly do you start when talking about Cornel West? I mean, the man’s a brilliant academic. Dr. West had an illustrious career at Princeton and has just recently begun teaching at Fuller Theological Seminary (when he’s not teaching at the university of Paris). On top of that, he’s written over 20 books (and by books I mean tomes measured in weight rather than pages), appeared on countless national news panels, and somehow still found time to have a bit part in a couple of The Matrix movies. Or perhaps I could talk about the man’s political work. West has been one of the few figures to consistently call out the Obama administration on its hypocrisy and atrocities- exemplified best by his outrage on Obama being sworn in on MLK Jr.’s bible. GORDON: Dearly beloved, we are gathered here today before these witnesses to discuss the role of religion in our comparatively secular world. Not too long ago, Evan and I discussed the subject of separating art from its artist, which brought up controversial science fiction writer Orson Scott Card, selected by DC to author a series of Superman comics. Public outcry ensued as a result of OSC’s viciously homophobic views- including a statement advocating the overthrow of the American government should gay marriage ever be legalized. EVAN: I am going to be honest and admit that I am counting down the second until this is over, when I get to finally play my copy of StarCraft II: Heart of the Swarm. That being said, this relates back to our talk because OSC’s views are deeply founded in his religion, Mormonism. GORDON: Now back in that post, Evan asserted that OSC’s views were “reprehensible, regardless of where you stand.” Could you expound on that a bit for us? EVAN: Well, the general consensus of the internet [from what I could tell] is that OSC is free to believe whatever he wants. If a man believed his cat created the universe he would, by anyone’s standards, certainly be wrong, but would not necessarily be chided for it. People drew the line at Card’s support of organizations that were actively boycotting the legalization of gay marriage in America, as well as, like you said, advocating the overthrow of the government. Homosexuality as a sin is something I think on almost every day, due to my belief that the Bible is without errancy and my observation that there is, from what I can see, absolutely nothing negative about a healthy homosexual relationship with another person. That being said, I am not about to cry that we burn down Parliament [or the White House, whatever] simply because the government allows two men to wed.
GORDON: So ultimately, your issue with OSC is that he shouldn’t let his personal views lead to him commit drastic acts? EVAN: My personal issue, I suppose, is that he takes a stance that I’m already extremely uncomfortable with having and pushes it to its most extreme. That’s my honest answer. On the surface, and certainly where I was last week or whenever it was, yes. Essentially that was where I was coming from, that his cry to overthrown the powers that be was an overreaction. GORDON: And that’s certainly something that’s fair. I often hear the argument that “You can’t force your religious views on others,” usually using a homophobic, sexist, or totalitarian agenda as an example. My issue with that has always been that you never hear the same people making that argument when something positive is on the table. I’d probably reference John Brown, MLK Jr., Bonhoeffer, or Malcolm X as examples. And I was kinda bugged by it. The implication seemed to be that Jimmy’s only two courses of action are silence or rage. I mean- if a friend posted something on Facebook I thought was incorrect, I don’t think I’d just ignore it. EVAN: I rarely do when it comes to misspellings, grammatical issues, and anything regarding comic books. GORDON: Exactly. If something is important to you, you should speak up about it, right? Heck, you shouldn’t you take direct action on it? When I was much, much, much younger I thought it would be a good idea to evangelize to a classmate [this was in 8th Grade, I think]. It didn’t pan out the way I’d hoped, because they were quite satisfied with their own religious beliefs, and reasonably so. The thing is, I was coming from a place where I thought I was doing the right thing. After all, if Christians really do believe that Jesus is “the way the truth and the life” and that no one gets to heaven except through him, isn’t there some sort of responsibility to tell others? And if there isn’t an onus, wouldn’t you want the people you care about to get in? So yes, it was important to me, and no, I don’t think I went about it the right way. But I did take action, for better or for worse. The government has decided to start indiscriminately throwing minorities into internment camps, dragging ’em out of their homes in the middle of the night because, I don’t know, if you don’t, the terrorists win. Do you take militant action? EVAN: Would I directly oppose the government, you mean? EVAN: Do I count as a minority? GORDON: For the purposes of this example, yes. EVAN: If I was not a minority I would probably act in the same capacity as those who hid Jews in Nazi-occupied Europe. GORDON: But one way or another, your actions would be rooted in your understanding of your religious/moral code, right? In this case, OSC is a jerk not because he advocates the overthrow of the government, but because he makes that threat over something so benign as Adam and Steve getting a sheet of paper. EVAN: I suppose it is contextual, yes. Though I’m sure there are people out there [myself not included] who would equate gay marriage with throwing babies into the Nile. GORDON: This is indeed true. with that in mind, How do we address the question of the separation of church and state? EVAN: That’s a really great question. I guess we have to ask how well of a job we’re doing with that at the moment. GORDON: Not knowing the ins and outs of Canadian politics, I’m afraid I won’t be able to make so much of a universal statement. Speaking for myself, I prefer a pretty staunch elimination of the cosmetics of religion in my government. Get “In God We Trust” off my money, take “Under God” out of the Pledge of Allegiance. Though in total honesty, that’s more from a distrust of government in my religion than vice versa. EVAN: The whole issue that “money is the root of all evil,” so why do we have religious institutions that have a net worth that goes into the billions? Yeah, I can be pretty into that sentiment. GORDON: A very interesting topic, considering the elections currently going on in the Vatican. EVAN: Well, the question we were presented today is what role does religion have to play in our increasingly secular world. In terms of Christianity, my hope is that its role is a positive one. That Christians [myself included] can be seen as loving and not hateful [see: The Westboro Baptist Church], as giving and not selfish [see: most people in general], as willing to consciously process what we believe to be the truth instead of sticking to them blindly because they’re what we were told. Christianity has changed a lot over the centuries without straying from what it is at its core. We can keep changing, we should keep thinking. GORDON: So at the end of the day, religion becomes a social movement, rather than a distinct community or culture? EVAN: I think that as a culture Christianity is, ideally, a social movement. GORDON: So how do you reconcile other religions with this? EVAN: Honestly it depends on the religion. I think Buddhism, when done right, more or less works along the same lines. Are we counting Scientology as a religion and not a cult? GORDON: Oooh. Them’s fighting words. Let’s call it a religion, for now. EVAN: I suppose I would like every religion, Scientology included, to stick to my format of what I would like Christianity to be. If you hash out logically that alien soul debris is the cause of every human’s problems, more power to you; I have done the same thing in believing that a man who was also God died on a cross and was resurrected. What’s really important is that we act on the positive aspects of our religious beliefs [taking care of the poor, not being dicks to one another] and really thinking upon our beliefs. Like I said, homosexuality as a sin does not at this point in my life make a lick of sense to me, and I continue to struggle with reconciling that with the rest of my faith. Make sure what you believe makes sense to you. So as a TL;DR, do good things and think. GORDON: Fair enough- but what about when it doesn’t work? There are plenty of vile groups out there whose diseased, twisted “logic” has led them to some pretty nasty conclusions. They’re obligated to act on those beliefs, right? How do you deal with conflicting agendas? EVAN: How are they acting on these beliefs? GORDON: Let’s say they’re banning the Hijab for Muslim Women; passing legislation on it. EVAN: I’d say that infringes on basic human rights, and that people should stick to the words of public awareness campaign “If You See Something, Say Something.” People should protest. GORDON: Certainly something we don’t get enough of. And with that, dearly beloved, we are out of time. EVAN: It’s creeping me out that you’re calling our readers that. Or me. That’s even more troubling. GORDON: Imagine if I actually did have a cult following. How awesome would that be? GORDON: I for one believe our readers have learned their lesson- I’d like to leave them the option of offering an “other” topic in the comment section. GORDON: Violence in media: How much is not enough? EVAN: Which you’ve written about before. I propose we talk about alcohol in our [Western] culture. GORDON: I’m down with that. EVAN: Thank you for wading through our back and forths, and we sincerely hope you join us again next week [and every weekday, really]. I am now off to go play some Heart of the Swarm. Back on October 15th of last year I ran a little piece on what’s not getting covered [enough] in the media. As I struggle in vain to fend off a nasty cold, I’ll be submitting a similar piece today. Today marked a massive hunger strike protest by Israeli prisoners, with over 3,000 inmates refusing meals in solidarity with another prisoner allegedly tortured to death. These strikes also call attention to the continued hunger strikes by four Palestinian inmates, the longest of whom has been on intermittent protest for 200 days, and is currently in critical condition. While this is in the news (depending on the site), the importance of this story is that it marks a continued attempt by these prisoners at nonviolent protest- the kind many in the West proclaim would lead to justice for the Palestinian people if only they would attempt to use it. Well, here it is, and despite the attempts by these prisoners to emulate the tactics of Gandhi and MLK, they remain (surprise, surprise) rotting away in Israeli prisoners under “detainment”- that is, they may be indefinitely held without being charged with any crime. 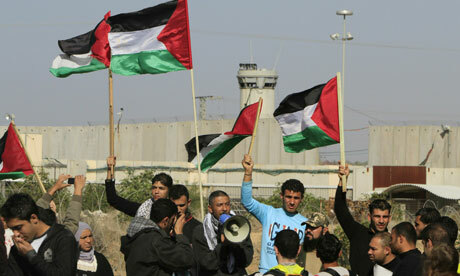 One might imagine that the attempts by the Palestinians to meet the demands of many in the west might merit some more attention. Recently in Australia legislation was passed to help meet the growing environmental issue of pollution from discarded soft drink bottles. Essentially the bill adds ten cents to the cost of each bottle, which will be refunded upon the bottle being recycled. Over 40 countries currently maintain such programs, and in Australia this legislation has doubled the local recycling rates. Coca-Cola, fearing that this environmental legislation may hurt its sales, has been campaigned viciously against this legislation and is currently suing the Australian government over it. Let’s keep in mind here that Coke isn’t paying the ten cents- the Australian government is. Coke is simply that concerned that “tax,” for lack of a better term, is going to somehow hurt their profits. Coke made 2.79 billion this year. I’m going to posit that 10 cents isn’t going to crush ’em. And to continue on with environmental news not in the news, the battle against fracking rages on in rural New York. Fracking (see graphic above) is the process of extracting natural gas from the ground by piping in an as-of-yet undisclosed compound into the earth to widen natural fissures in the stones trapping the gas. The issue with this is that the process is pretty dang inaccurate, with gas (as well as the undisclosed chemicals) leaking into the local water supply, resulting in, among other issues, water catching on fire from all the methane in it. Now this is a fairly major issue, and one you’re almost certain to not see in the morning paper or the nightly news. As before, people, it’s high time that we demand that our journalists actually act like journalists. What do you really want- news about major events affecting your life, or coverage of the academy awards? Barring the people for whom the two are one and the same, but that’s a post for another time. It’s got me back to thinking on a subject that’s long held my interest- namely the issue of evil. You’d think it’d be pretty straight forward- right is right and wrong is wrong- but let me get right into an example. No question. Hitler and his followers aren’t simply evil- they’re the go-to example of evil. They’re our baseline for evil. Everything vile and nefarious is measured against either Hitler or the Nazis. So what about this guy? 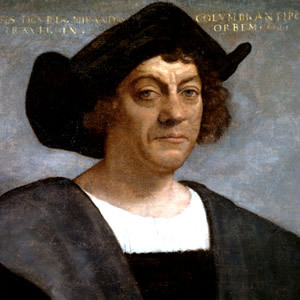 Columbus’s long-list of achievements (discovering America not being one of them) read more or less as a chronicle of genocide, slavery, and theft. It’s well known, certainly at this point, that Columbus was a greedy, narcissistic, tyrannical, and corrupt man. Even with streets, cities, a holiday, and even an asteroid commemorating him, surely we can all agree that this guy was evil. Not on the level of Nazi Germany, but still indisputably evil. Yep, that’s Thomas Jefferson. President. Founding Father. Author of the Declaration of Independence. Not just a slave owner, but an abusive one- carrying on an affair with one of his slaves (that slave also being his wife’s half-sister), getting her pregnant multiple times, and then promptly allowing his own children to spend the rest of their lives as slaves. Pretty depraved, eh? If I did any one of these things, I’d be called out as a first-rate ******* (and rightly so). I’d be called evil, and that would be telling it like it is. 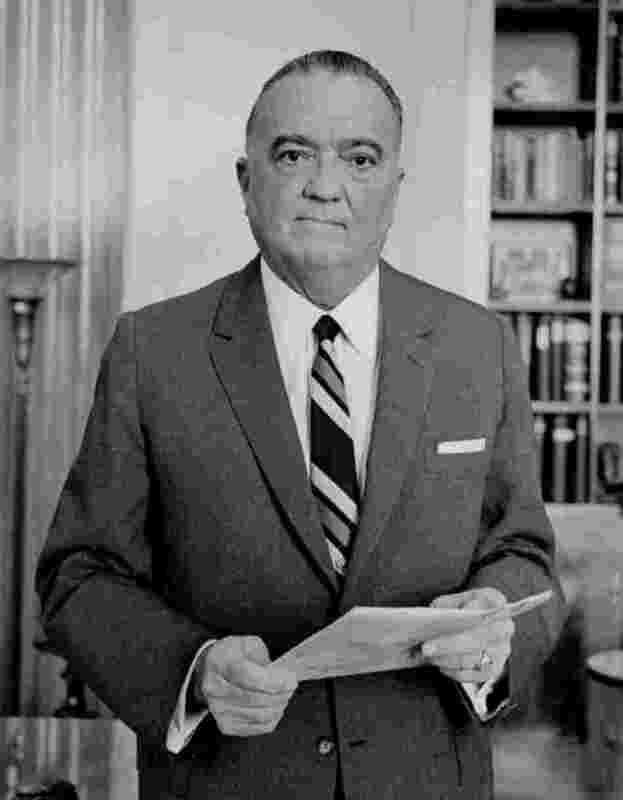 That’s J. Edgar Hoover, founder of the FBI, which he oversaw with about the same leadership you’d expect from some Stone Age self-proclaimed god-king. Hoover was an egoistical, jealous, paranoid man who used the FBI to advance his own political agenda. In addition to all of this, Hoover was a rabid racist, and struggled long and hard against the Civil Rights movement, targeting MLK Jr. in particular, as well as spearheading a campaign to undermine the Black Power movement of the 1960s. Would you call this guy evil? Yes, the average American family (not pictured above), or heck, even just the average American? Our money goes to supporting companies that use sweatshop labor. Our money goes to supporting companies that recklessly destroy the environment. Our money goes to supporting corporations that push objectifying ads (especially, but not exclusively, in regards to women). Our taxes go to supporting dictatorial regimes (such as former Egyptian president Mubarak), racist and apartheid states (such as Israel), and even states that utilize child soldiers. Where does that put us? Now all of that is simply to illustrate the apparent complexity of the issue. Evil is evil, yes, but pinning down exactly who is and isn’t evil becomes a little more complex once we look at someone other than the Nazis. Jefferson was instrumental not only to the founding of this nation, but to the establishment and perpetuation of the core concepts of democracy and human rights- even to the point where Martin Luther King Jr., a man whose ancestors Jefferson owned– wound up quoting him in his iconic I Have a Dream speech. Likewise, there’s the issue with the average American. Almost none of us would actually be able to manage a sweatshop, or put an assault rifle in a twelve-year old’s hands, at least, not in person. Despite this, our economy is built on the backs of Bangladeshi kids working for twenty-five cents an our. Our security (we are told) is predicated on us coordinated with nations whose human rights records are drenched in blood (*Cough*China*Cough*Saudi Arabia*Cough*Columbia*Cough*). The vast majority of us either don’t know or don’t care; not enough to raise a voice in protest, anyhow. Again, what does that make us? We might not be ourselves actively implementing imperialism and violence and despotism, but we still do rake in the rewards and howl for more. We could try arguing innocence by virtue of not being the ones pulling the trigger on any of this, but the truth that history has taught us over and over is that simple knowledge of an injustice creates moral culpability. To ignore injustice equates with committing injustice. We simply can’t escape it. And maybe that’s the answer. Maybe we can’t be so picky about where we draw the line between right and wrong. Maybe the answer is sweeping judgment. That’s not meant to be some fire and brimstone-esque statement, that’s simply a fact of the matter. You’re not good and evil only when you embark on a mission of genocide- you’re a participant in a viciously evil system until such a time as you act otherwise. You’re part of the problem until you’re part of the solution. That’s not to say that you have to be flawless. You’re not going to be able to do that (neither am I, for that matter)- in part because we’re human, and in part because the world we live in simply isn’t going to cooperate. But people, we can at least try. I don’t think making an effort to not totally **** up the planet and all that’s in it is really all that much to ask, do you?